With the arrival of Christmas, perfume companies are always looking for inspiration for their festive offering. 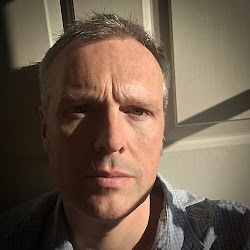 This can go off in many unusual directions and, whilst some hit the mark perfectly, others are often earmarked for the January sales before the first present is even unwrapped. One company that has excelled this year is Fragonard. 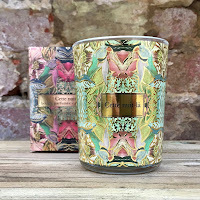 From design through to product selections, and obviously a beautiful scent, they have released a patchouli inspired collection that offers customers an alternative to the ruby red and pine aromas that you usually get at this time of the year, and this is why it’s my recommended collection for Christmas 2018. When Fragonard was approached by design company Patch NYC to collaborate on a festive collection, no one could have imagined just how perfectly the two companies would suit each other. Patch NYC was founded in 1997 by two designers, Don Carney and John Ross. The pairs’ love of the design elements of vintage embroidery and applique, along with daring colour combinations, very quickly became their signature and that is why they have gone on to work with companies all over the world. The design for the Fragonard Christmas Collection draws heavily on the idea of precious shawl-wrapped cargoes, and unwrapping each one is a delight. Rather than create a new scent for this Christmas, Fragonard have decided to draw on four of their existing fragrances from the Naturals range but present them in a new and exciting way. 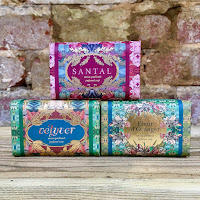 The ones that were chosen are Santal, Fleur d’Oranger, Vetyver and, of course, Patchouli. This selection of four means that the Christmas collection instantly takes on a more woody style and it also means that it will appeal easily to both men and women. 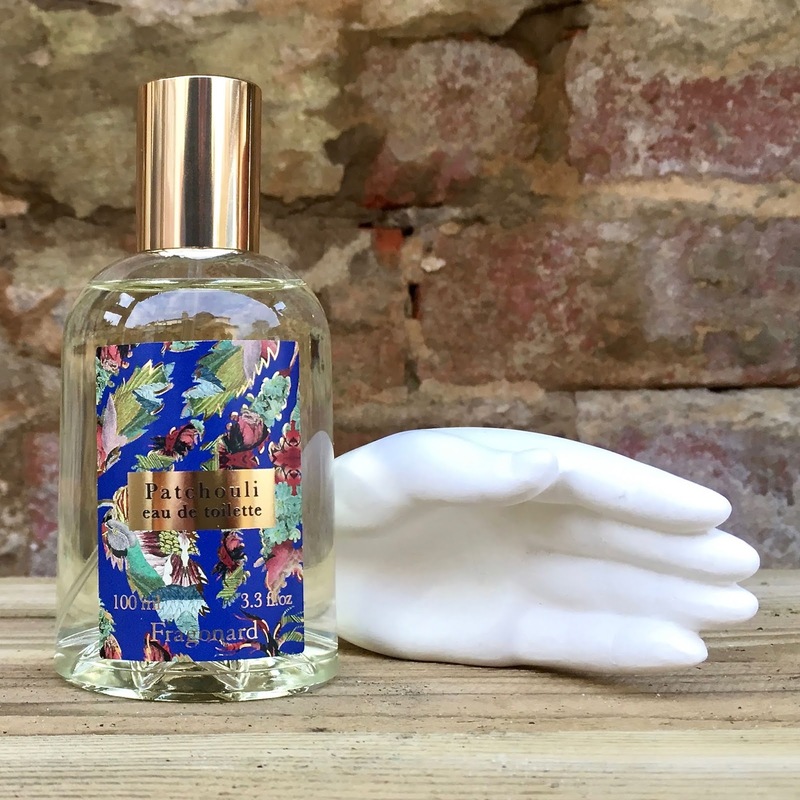 With a choice of fragrance, candle, ceramic diffuser, and soaps, Fragonard has produced the perfect festive selection which is why it is my recommendation for Christmas 2018. The collection centres around their interpretation of patchouli. Many companies have started to “tame down” this ingredient in recent years but Fragonard presents it in all of its robust glory. 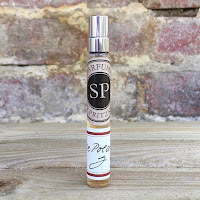 The fragrance opens with the earthy patchouli and seems to radiate outwards from here. 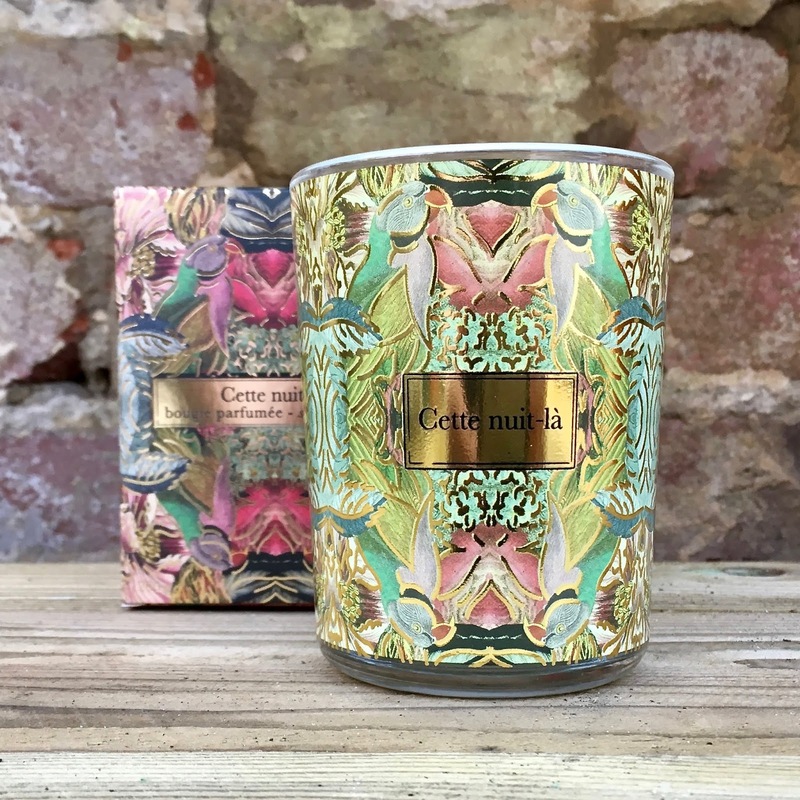 The combination of petitgrain, ginger and bitter orange give a darkened citrus quality to the mix that means that the appearance of the rose adds a deep, velvety nuance to this warm scent. The dryness of the patchouli is emphasised by an elegantly crisp cedarwood before the whole perfume is smoothed with a delicious tonka bean. The company took the decision to release two forms of home scent in the collection, a ceramic room diffuser and a candle. The candle perfectly captures the warmth of the key ingredient but the ceramic is truly exquisite. 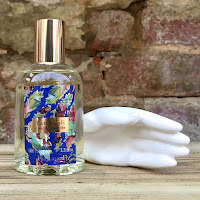 Unglazed and in the shape of a palm, it comes with a 100ml bottle of Patchouli EDT that can be sprayed directly onto it. This holds the scent and releases it in the same way as a diffuser, and you can respray the ceramic, and yourself, whenever you need. 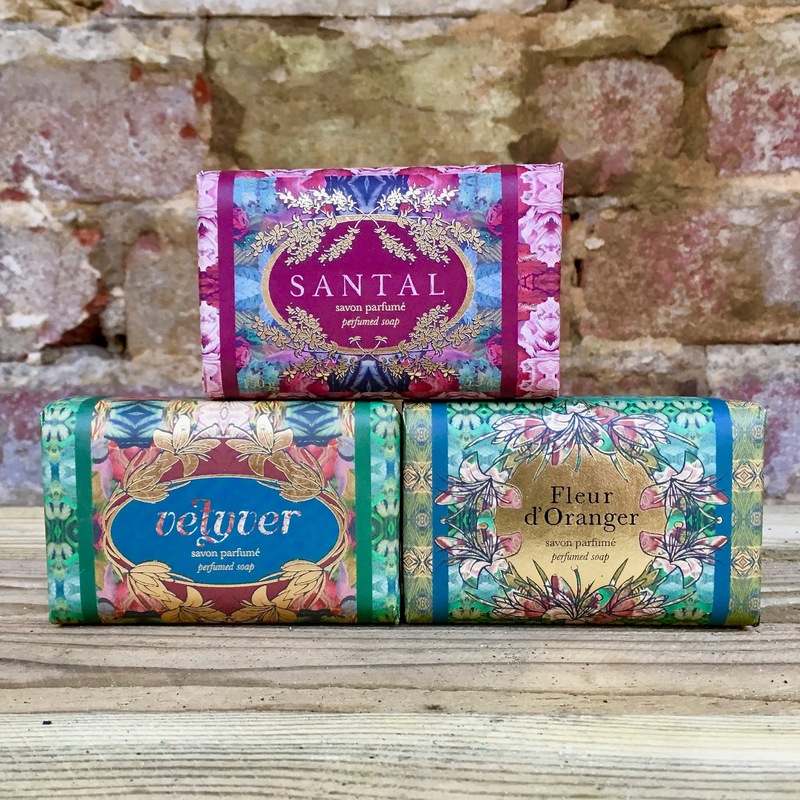 In addition, the collection also features four stunning soaps that come in Santal, Fleur d’Oranger, Vetyver and, of course, Patchouli.